Sands Investment Group is pleased to present this trophy location Absolute NNN investment located in Valdosta, Georgia. 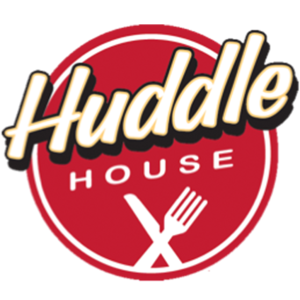 Huddle House is an iconic Southern diner franchise known for its big, hearty breakfasts, their signature Southern hospitality and their motto of “Any Meal. Any Time.” Customers come in 24/7, whether it’s for a 5 a.m. burger or an 11 p.m. three-egg omelet. Huddle House was founded in Georgia, and their Southern hospitality has always been at the core of who they are. The restaurant has been in business for more than 50 years because they treat customers like guests. Under CEO Michael Abt’s leadership, they have remodeled 60% of their 300-plus restaurants, featuring the new and strategic Evolution design, which has proven to increase same-store sales. Huddle House is a 50-year old iconic and traditional brand that is every bit as relevant today as it was when it opened. The restaurant has been a favorite diner in the South since the 1960s, and now they are expanding into new markets across the United States. Aside from typical metropolitan centers, they also thrive in the smaller towns that other chains deem too small to service. By creating a “first-to-market” opportunity in these smaller, rural towns, they establish themselves as the place to go for breakfast, lunch, dinner, late nights and weekends.